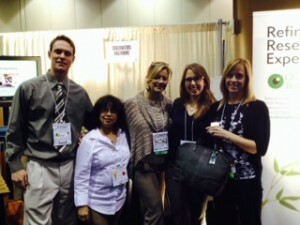 PMRG was a great experience for the Observation Baltimore team. While we were a little disappointed to leave sunny Orlando, Florida, we are excited to be back at the office in Baltimore. We’d like to thank everybody who stopped by our booth and dropped their business card into our Coach bag drawing. We are proud to announce that the winner of the drawing was Lynn Welsh of Olson Research Group. Congratulations, Lynn! We’d also like to take this time to thank PMRG for putting the conference together and the attendees for making it great. This entry was posted on Wednesday, March 12th, 2014 at 7:10 pm. Both comments and pings are currently closed.